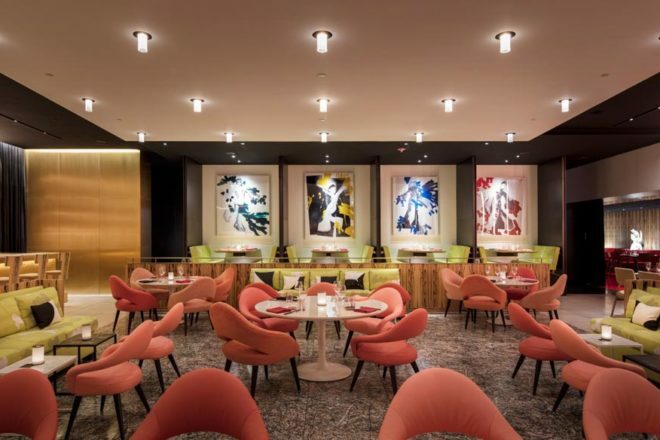 The 'extravagant and boisterously elegant' Lobster Club, tucked away in New York's Seagram Building. Chloe Timms, founder of Fatties Bakery, whipping up a sweet delight. 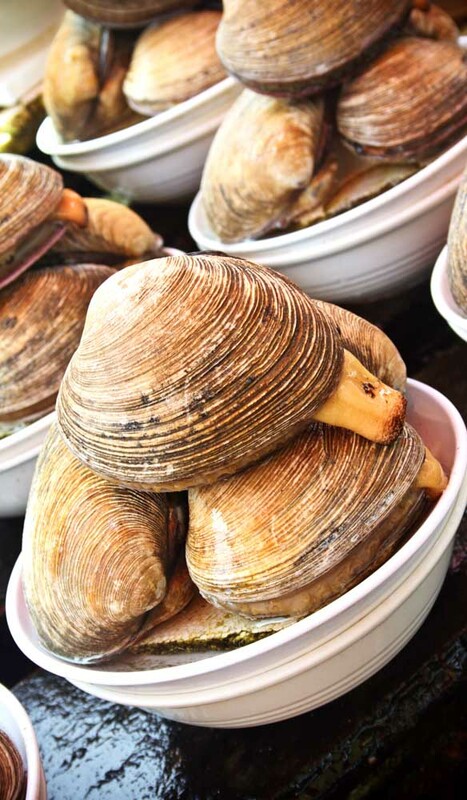 Fresh Clams at Jagalchi Market, Busan, South Korea. From British baked goods to South Korean specialties, here are some tasty morsels to whet your wanderlust; the tasty foodie trends you need to know about. 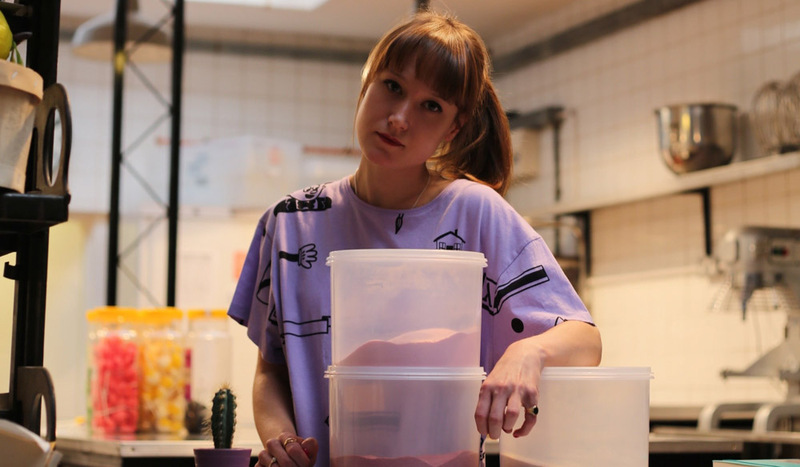 London baker Chloe Timms, founder of Fatties Bakery, shares her top five brownies to try the next time you are in town. Violet, 47 Wilton Way, E8 3ED. Crumbs & Doilies, 1 Kingly Street, W1B 5PW. Lily Vanilli, 6 The Courtyard, Ezra Street, E2 7RH. “The nut brownie is the classic brownie levelled up with toasted hazelnuts and almonds,” enthuses Chloe. St. John Bakery, 2 Druid Street, SE1 2HQ. Fatties Bakery, 21 Club Row, E2 7ED. Architect Peter Marino, Michelin-starred chef Tasuku Murakami and Major Food Group have pooled their considerable talent to create the new underground Japanese restaurant, The Lobster Club. 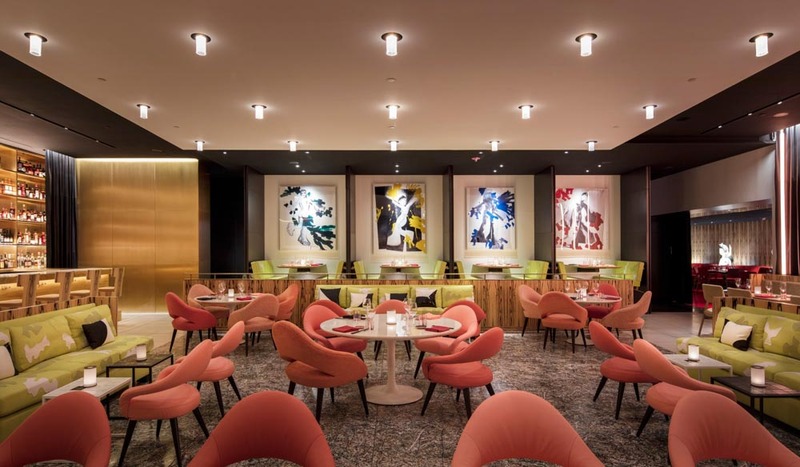 Tucked away in the New York landmark Seagram Building, this is the first restaurant project in North America for architect, artist, and author Marino, whose work for clients like Louis Vuitton, Dior, Chanel, Zegna and Bulgari is dotted across the globe. The resulting space is ‘extravagant and boisterously elegant’, with Marino overseeing everything from the uniforms to the floors to the fanciful ‘hanging’ banquettes. Meanwhile Tasuku’s menu will showcase his incredible skill and love of sushi and Japanese classics, with fish brought in from Tokyo’s Tsukiji market. The port city of Busan in the south-east of South Korea is becoming a ‘foodie’ destination worth taking note of. Sixteen Busan specialties and don’t-miss meals are included in a new Must Eats in Korea list, such as Dongnae-style green onion pancake, duck bulgogi and Busan-style fish cake. The recommendations also include many of the seafood dishes Busan is famous for, like grilled eel, and spicy seafood stew, as well as restaurant recommendations. Check out the Gukje Market with its food street, or take a food tour of the Bupyeong Night Market. And while you’re in town, try a fermentation culture school or book a stay at Beomeosa Temple to learn about meditation and eat traditional temple foods with the monks. PLUS we explore the 'new' Europe, unearth a Mallorcan mountain retreat, spend 48 hours in Champagne, France, go on a luxury Kenyan safari, take a peek at some classic ski destinations, and much more!